Hey there! 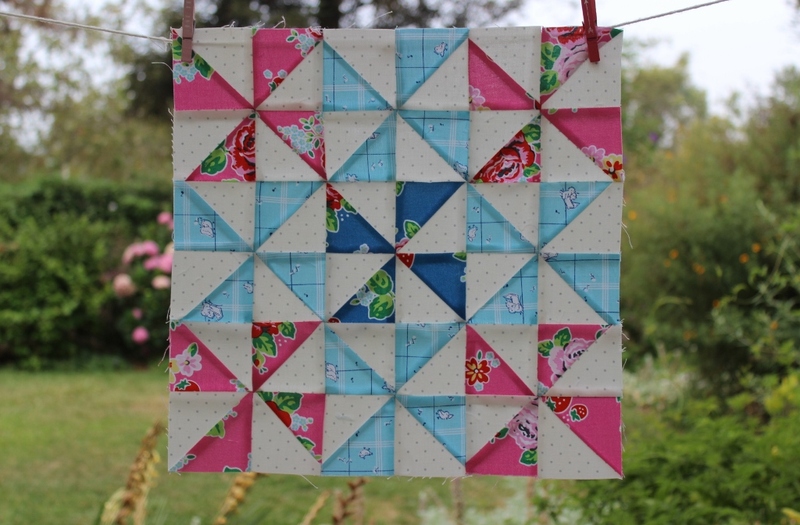 I was so glad to get back to the sewing machine this weekend to sew up this adorable pinwheel block. Half square triangles are totally my jam these days, so it was a breeze to make. I can’t help but stop here to sing the praises of my Bloc Loc ruler. I’m not kidding when I say it has changed my life! One of the things I wanted to challenge myself with on this quilt is to improve my accuracy. There are a lot of blocks with tiny pieces–and accuracy matters! Half square triangles are hard to sew accurately and they get stretched out of shape very easily. So, now I just make them a tad bigger and trim them to perfection with the Bloc Loc ruler. And they go together with perfect points (most of the time). There was a time that I would have thought that whole trimming thing would take too long. But now, at my age, in all my wisdom, I realize that quilting is as much about process as product–so what is a few extra minutes trimming when it improves the end product so much? I need to put the Flying Geese version on my Christmas list. 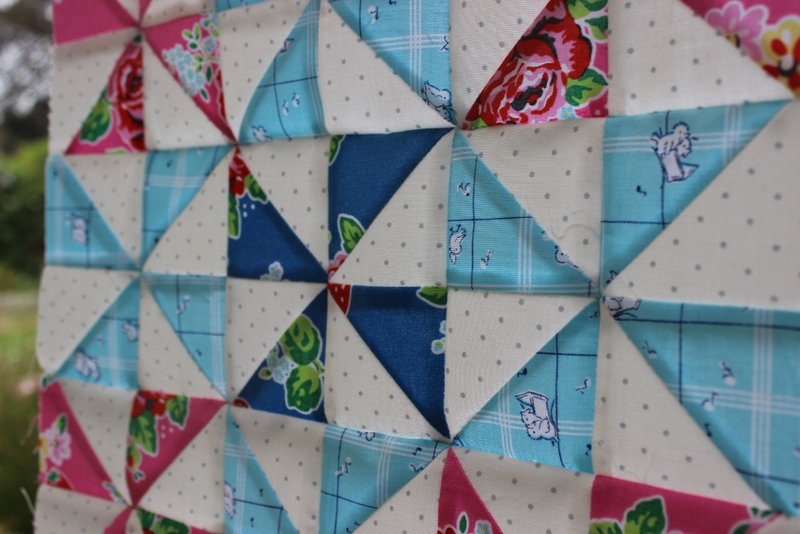 Back to the pinwheel block–I cut it out and sewed it up on one afternoon. Boom. Done. I love the colors and the simplicity of the block. I think it would make a very cute pillow, but this one is going in the quilt. 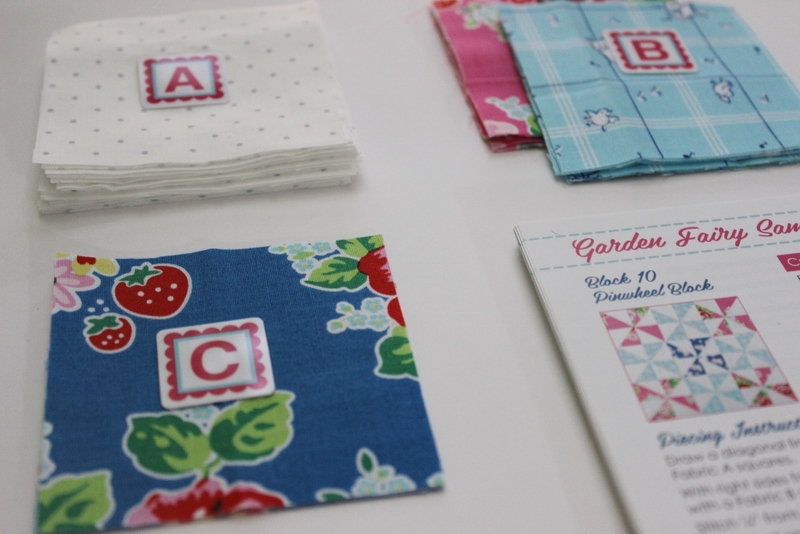 Check out Erica’s block over at Kitchen Table Quilting. It’s still not too late to grab yourself a copy of Pretty Playtime Quilts from the Fat Quarter Shop. P.S. In other news, my book with designer Minki Kim comes out one week from today! Make sure to check back next Monday, August 1!